It’s not what you learn – it’s how you learn! 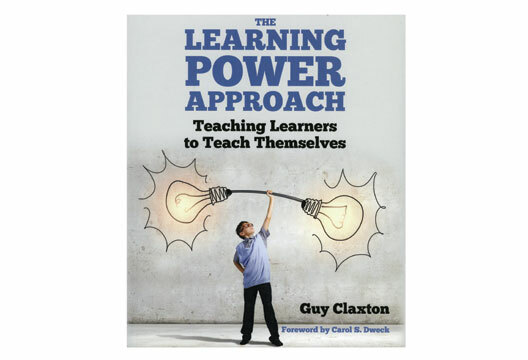 The Learning Power Approach: Teaching Learners to Teach Themselves by Guy Claxton (Crown House; Pb £18.99), reviewed by Emeritus Professor Irvine Gersch. Whenever I give talks to teachers and parents, I am soon bombarded with criticism of the current educational system, with its targets, pressure and stress on students, focus on rote learning and competitive examinations. Rarely do those complaining propose solutions or alternatives. But here it is – it is called ‘the learning power approach’, and it has at its heart the idea that we should spend more energy on developing learning skills and the true requirements that children will need in the future – learning how to learn. This requires skills in observing, reading, critiquing, experimenting, imagining, reasoning, imitation, discussion, reflecting, practising, working in groups, thinking, analysing and knowing how to learn new things. Claxton stresses the importance of curiosity, questioning, exploring, noticing, contemplating, determination, playing with ideas, evaluation, organising, planning and other prerequisites of effective self-learning. The book promises to be the first of a set for teachers, this one setting out the principles, ideas for the classroom, an explanation of the approach, and its supportive evidence. The metaphors are wonderful: for example, strengthening the learning muscle, developing an orchestra of skills, with many different instruments, this book being the handle of a socket set with attachments yet to come (for primary, secondary teachers, headteachers and maybe others, hopefully addressing those with special educational needs). There are clear and specific ideas that can be undertaken immediately, some quick wins to get started – discouraging hands up, having a poster of ideas on the wall whereby children try things when they get stuck, a ban on erasers so children embrace errors as learning opportunities – and many more ideas. The main point is that the student is placed centre stage. This book is a delight to read, the ideas heart-warming; it is very well written and presented. It should be in every school and classroom, and used by every teacher, and those who advise, lead and support them.